Marriage is one of the sacraments of the Orthodox Church. The Apostle Paul, in his Epistle to the Ephesians (5:25-32), in the passage which is read at the ceremony of the marriage crowning, gives the Christian meaning of the union between man and woman. Thus the Holy Orthodox Church has always considered marriage in its relation to our common life in the Body of Christ. When two souls and two bodies are accepting to be united in marriage, it is "a great Mystery" and it concerns "Christ and the Church." Christian marriage is, therefore, not simply the fulfillment of a secular or legal contract” but as a path that the couple may continuously help and guide each other to salvation in our Lord and Savior. Episcopal permission must be acquired at least one month in advance. Civil marriage license must be obtained prior to the wedding and a copy be given to the priest prior to the conduct of the wedding. Marriage must be performed by a canonical Orthodox priest in an Orthodox Church according to the rites of the Orthodox tradition. Bride & Groom must provide documentation showing they are free to marry, that is unmarried. Either the Bride or Groom and one of the Sponsors must be members in good standing of an Orthodox parish. The Orthodox Church permits Inter-Christian marriage. That is marriage of an Orthodox Christian to another Trinitarian Christian through the Orthodox concept of economia (a type of theological dispensation.) The Church’s concern is for each person’s salvation, and therefore does not desire to place an insurmountable obstacle before Her faithful by denying the Sacrament of Marriage to those who seek an inter-Christian marriage. The Orthodox Church, however, does not currently allow Inter-Faith marriages or marriage where one of the parties cannot show evidence of having been baptized in the name of the Holy Trinity. Divorcees must obtain permission to remarry through the Metropolis Spiritual Court prior to application for permission to marry. Please contact our church office for details on this process. No individual may marry more than three times in the Church. Typically the seminar consists of 5 sessions of one hour each. 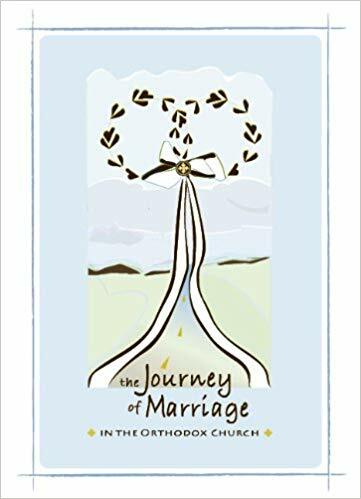 Each couple will receive a copy of Journey of Marriage from which the sessions are based. Marriage Preparation Seminars serve to provide engaged couples practical information regarding the elements of an Orthodox marriage in the hopes of helping to contribute to a successful marriage. This seminar is required by all couples who are marrying at the community of the Annunciation Greek Orthodox Church, Rochester, NY. The purpose of these discussions is not to determine if the couple should marry but to provide the couple the opportunity to explore the religious, social, physical, emotional and moral issues that marriage presents. The Orthodox faith sees marriage is a life-long Sacrament which requires a sacrificial love, which, as many things in life, is a learned experience, so that the couple becomes one in thought, one in action, one in flesh. In the case of Inter-Christian marriages this seminar offers insight into some of the more challenges when one spouse is not of the Orthodox faith. The couple is also encouraged to receive the Sacrament of Confession and the Sacrament of Holy Communion as part of their preparation for marriage. By doing so, they have the opportunity to bring a new vitality, a spirit and bond into their marriage that will enhance and deepen their lives. What are the requirements to be a Koumbaro or Koumbara? In the Greek Orthodox Church, the Koumbaro(a) is the official sponsor for the wedding. This means that he or she has to be an Orthodox Christian in good standing. Greek cultural tradition holds that the godparents of the groom and then the bride should be asked first, however, departure from this tradition is not uncommon so as to select a close friend or sibling. According to the Church canons, an Orthodox Christian who marries outside the Church may not serve as a sponsor at a wedding in the Orthodox Church. If you are a member in good standing at another Orthodox Church please have your Orthodox priest provide you with a Letter of Good Standing. Please consult with your priest for more information or questions regarding these policies..
How do I become a Greek Orthodox Christian in good standing? If you are an active member of your Orthodox Christian Church, it is likely that you won’t have to worry about this. However, your priest can guide you as to what it means in your specific case. Generally, “good standing” indicates that you are current with your financial pledge to your chosen Orthodox Church and also that you abide by the canonical rules put forth by the church. What is expected during the wedding ceremony? 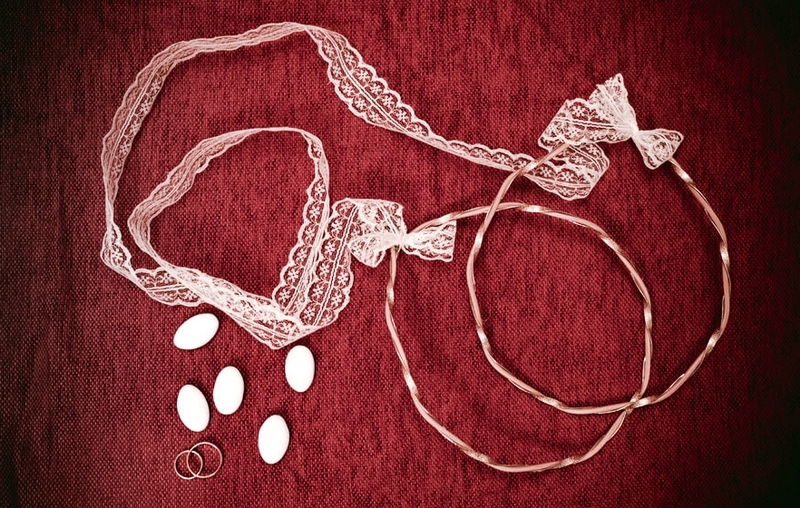 The Koumbaro or Koumbara does play an important role during the marriage ceremony because their role absolutely needs to be performed by an Orthodox Christian in good standing. He or she is typically responsible for exchanging the wedding crowns, or Stefana, three times during the ceremony. In addition, the sponsor also performs the ring exchange. What does the Koumbaro or Koumbara need to pay for?